With the Holidays fast approaching, we know your to-do list is getting longer and longer each day so we would like to make one thing easier this winter. We diligently search and keep track of the last trends so that you know everything you see in our Holiday Collection is fresh, new, and definitely on trend. Here are 3 of our favorites, perfect for any holiday occasion. 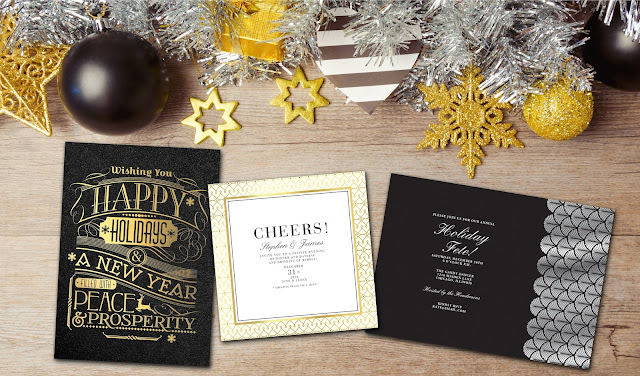 Ring in the New Year in a classic and elegant way with these Art Deco inspired invitations. Your party, celebrating old memories and new beginnings, gets a touch of shimmer with gold and silver foil. 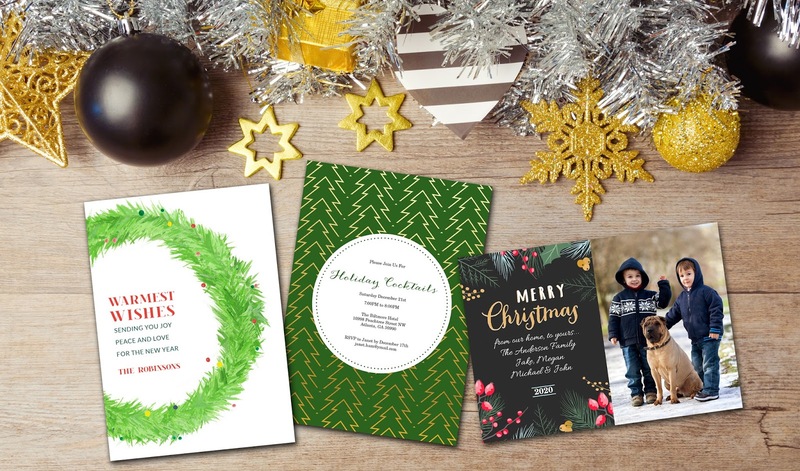 Have your recipients reminisce about the comforting scent of pine needles and evergreen trees. This simple and rustic touch accents any photo or heartfelt greeting. Who doesn't love the exciting surprise of confetti to celebrate the best time of the year? 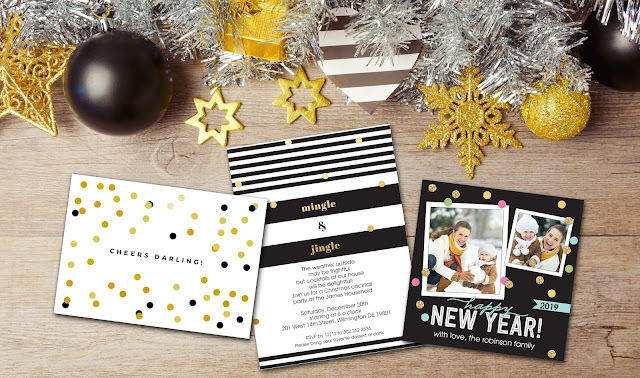 Set the tone for an elegant soirée or, send a chic greeting with a shimmery touch of colorful confetti.